Whoever has come up with using the words “no-no” for single food list items such as potato or rice in relation to histamine intolerance should be ashamed. Those who are copying from other websites without checking what the primary source of the information is should be ashamed. And those who are giving consultations via the internet (and taking money for it) without having any sort of relevant qualifications, too, should be very, very ashamed. So, why am I saying this? Well, there are an increasing number of vulnerable people who are literally trawling around the internet looking for a “proper” food list, for the “ultimate” food list, for the “best” food list. They are desperate for information and looking for a solution to their health problems. Very understandably, the more desperate they get, the more they will go for desperate measures. I hate seeing them abused! So what is the “ultimate” food list? Is there such a thing as a “failsafe” food list? No there isn’t! Lists that have been copied from other lists and then adapted for one reason or another, such as the personal diet of a specific individual. Lists that have been created by persons who believe their regime is the best one for them, and therefore it has to be just as good for everyone else. Food extremism. Some people who are unable to have certain foods that should be tolerable for people with HIT, like potato or rice, will find ways to convince others that they are bad for everyone, point blank, though this is untrue. For example: “Potatoes are nightshades, so you should not eat them…they are bad for you… they are a no-no”. This is completely the wrong advice for someone with HIT. Food ideologies: Veganism as well as the Paleo diet and a gluten-free diet if you are not diagnosed gluten intolerant are primarily a life-style choice for many. Sure, there are people who say that they heard that gluten is bad for you and therefore they have chosen not to eat it – for that sole reason. There is no reason why anyone should be allowed to dictate to you what you should or should not be allowed to eat. You are unique and therefore you need to work out your own personal diet, your own personal threshold, what you personally can eat and what you personally can’t eat. There are unfortunately unscrupulous people out there who want to deceive and defraud you. They have cottoned onto the fact that a food lists attracts those who suffer from food-related problems, like flies. Then they extract their money with weekly and monthly health programmes. It gives them the opportunity to sell you products & consultations. It’s easy cash via the net. These people without the proper medical training will sell you their grandmother if they can. They don’t care one iota about your health. 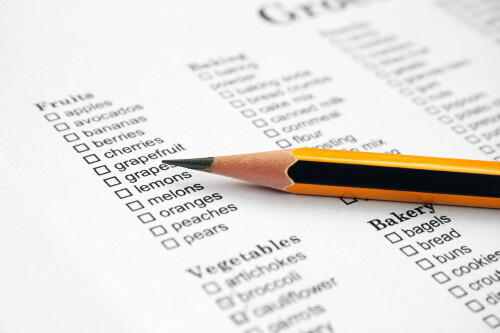 Food lists that have been created for people with other conditions and which have been mixed together with food lists for other conditions. Examples are combinations for people with Coeliac disease and histamine intolerance or other food intolerances or an ATI list or the Fodmap list combined with word of mouth. It spreads around the net and nobody knows where the information came from. A list for someone with HIT and gluten sensitivity is quite useless to you if you haven’t actually got much of an issue with gluten. After the (usually) 4-week elimination diet (in consultation with your doc and dietician) you should be able to find out pretty quickly if you really do have an issue with gluten or not. On top of all this there are the trolls. They like to wreak havoc in forums and like to say exactly the opposite of what someone else says. They are people who obviously have nothing better to do in life than to read the guidelines of the Facebook group and do exactly the opposite. They will be barred! Go to your GP or get a referral to a specialist. If you have bowel problems or any intestinal discomfort (starting from mouth to your very bottom) it is quite a good idea to see a gastroenterologist and get a complete check-up in general. If you are unhappy with your specialist – switch. Do your homework. Ask the people around you if they have had any good experiences. Specialist means someone with a medical qualification. Not someone who tests the reflexes of your knee while holding a vial with something indefinable in it, or someone who closes their eyes while putting their hand on your stomach, muttering mantras. If you have come across a medic that you are unhappy with, it is not necessary to write them all off. There are bad apples in every profession. If they can’t establish that it is HIT, look into other possibilities as a reason for your discomfort. There are many illnesses and conditions that have the same symptoms as HIT. That is why a differential diagnosis is so incredibly important. It would be terrible if you had cancer and thought that it was HIT. Have a look at the information on this very website; there is a books section and there is also a blog section. Once you are really sure (defined by diagnosis), you need to start understanding the concept of the diet. The food list is just half the story. Why is the Food diary so important? It is all about which and how much of certain food items you can eat. You can’t replicate someone else’s food regime. Remember that you are unique. Why is the Elimination diet so important? Because its results function as one of several (!) necessary indicators as part of establishing a diagnosis. It is also important, because if it is indeed HIT that you have then your symptoms should be gone, or at least severely reduced, within the classic 4 week elimination diet. If there is no change then you have to continue your search for the reasons. Either it is not HIT and something completely different, or it is HIT in combination with another condition or food intolerance. Why is the Diagnosis so important? The diagnosis gives you certainty. It prevents you from overlooking another condition. Especially relevant here would be mastocytosis and allergies. It is no use treating something that you may not have. These are solely for HIT diets and are not combined with other diets or dietary ideologies. In general be wary of people who give you advice on the internet. Even the content on the Histamine Intolerance Awareness website as well as the book What HIT Me, by Genny, can only be taken as a source of information with which you have to go back to a proper medical professional and a dietician, who in turn can work with you on your own personalised diet. So what is the best, ultimate, proper food list?